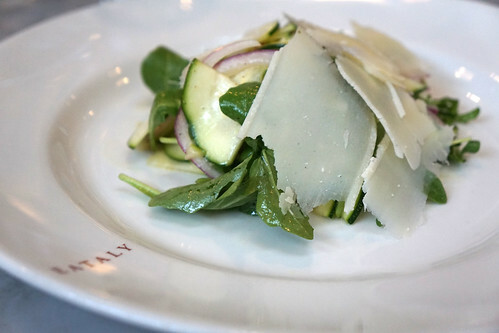 Chef Michael Schlow just started a new pop-up restaurant inside Eataly Boston. The latest pop-up is called L'Ancora and will feature cuisines from Italy's coastal cities. I recently attended a media preview tasting for the new pop-up. 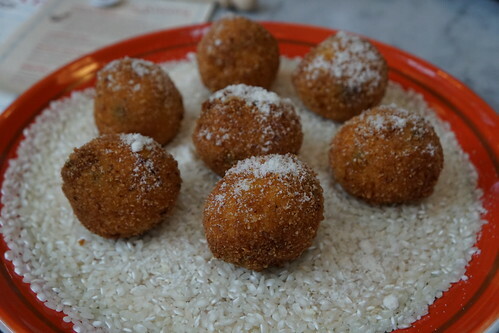 We started our lunch with some arancini. Bruschetta con 'Nduja (La Quercia, 'nduja, provolone, parsley). 'nduja came from the village of Spilinga in Calabria. 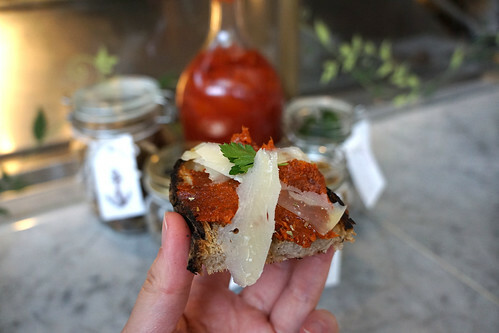 If you've never had 'nduja, it is a spicy pork salumi spread. The combo on the toasted bread helps temper the spiciness and enhanced the flavors. This was a simple, yet extremely fresh salad. Isn't that what Italian food is all about?